Four sizes. And all of them great. Since only the right tools can produce the required results, STAHLWILLE has compiled this set of slip-joint pliers. Four pliers with lengths of up to 300 mm and the exclusive, mini slip-joint pliers that are a mere 125 mm long. The tools in this set put you firmly in control. 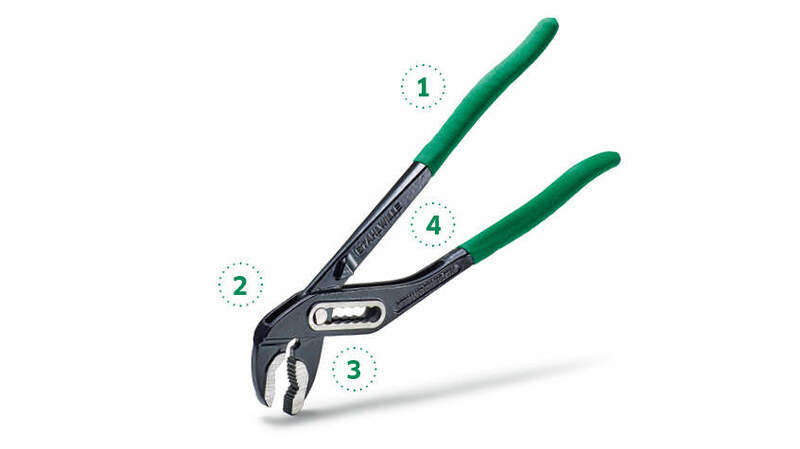 All four pliers feature ergonomically designed handles and a box joint to meet the highest demands. STAHLWILLE quality – down to the last detail. A gripping solution. Get yours now. Well-thought-out, not just a pretty head – STAHLWILLE slip-joint pliers. High-grade, hardened steel and the box joint enable even the most demanding jobs to be undertaken, while, at the same time, ensuring long service lifetimes. The integrated anti- pinch design and special handles with a textured plastic surface allow safe, ergonomic working. 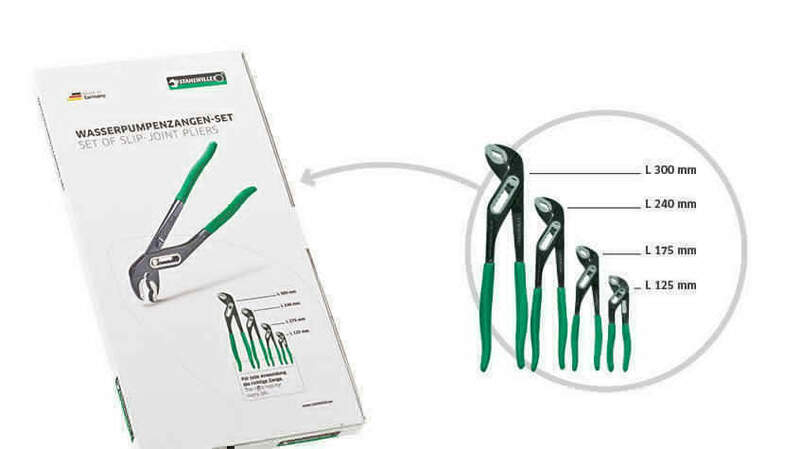 Available in four sizes – even as mini slip-joint pliers. 1. Ergonomically designed – the carefully crafted handle shape and plastic sleeves ensure a firm grip and strain-free handling – even on longer working days. 2. Resilient – the box joint means the tool will withstand tough use and ensures the durability expected of STAHLWILLE tools. 3. High-grade – gunmetal finish with polished hardened steel jaws. Made in Germany. 4. Safe – integrated anti-pinch design to prevent injury from pinching.